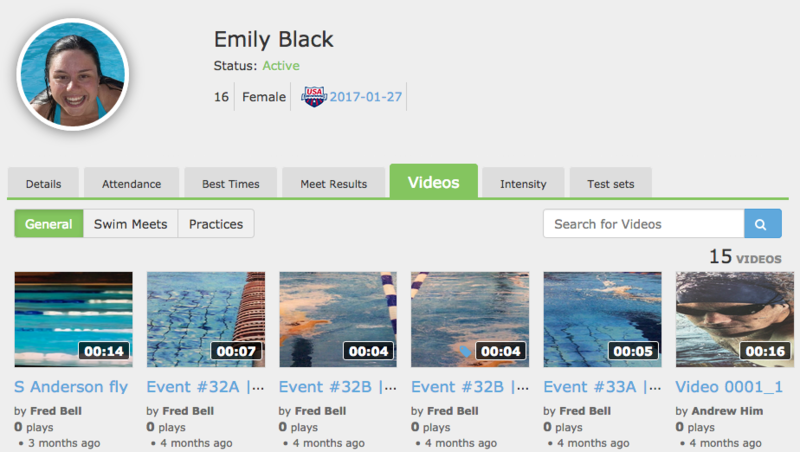 In SwimOffice you can view uploaded videos in the profile(s) of your swimmer(s). Click name of swimmer with attached video. All videos for that swimmer will show in the General button. Click a video thumbnail to open the video player, then click the video to play it. Click the X in the upper right of the video to close it, or press the Esc key. 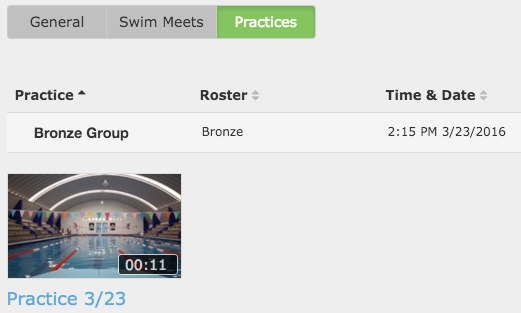 Videos will show in the General, Swim meet or Practice tabs depending how the admin designated them.